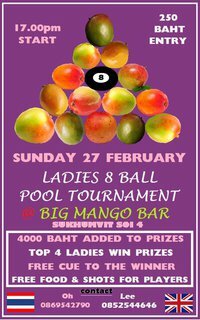 Following on from the fun November event, Big Mango will once again hold another ladies only Pool tournament on Sunday 27th February 2011. 4000 THB will be added to the entry of 250THB to give a great prize purse with the winner also getting a playing cue (Supplied by 9ballshop.com). Free food and Mango Shots will also be on offer to all players. 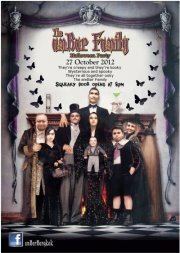 Please RSVP your entry in advance. Practice from 15.00pm, competition draw at 16.45pm. 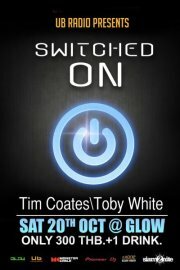 See you there ladies.